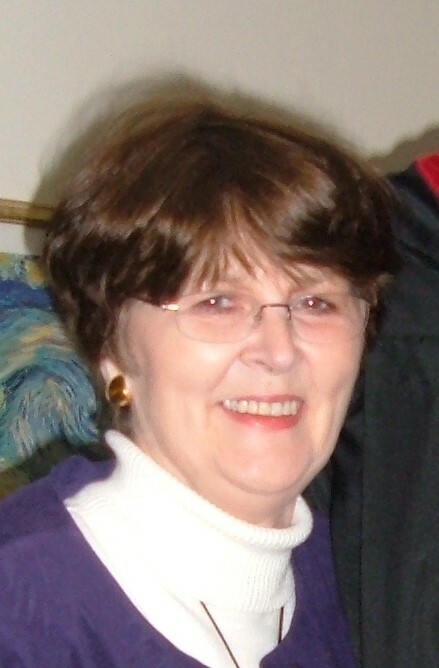 Obituary for Carol McGee | Lanman Funeral Home, Inc.
Carol Joan McGee was born to John D. McGee and Minnie Shellhammer McGee in Hardtner on May 28, 1942 and died on April 9, 2019. She grew up in Kiowa, where she was active in band and orchestra and was selected for the Wichita Youth Symphony. Carol received her BE and master’s degree from Emporia State University, where she was also very active in Alpha Sigma Alpha sorority. After graduation, Carol taught for several years at Seaman High School in Topeka before working for the Kansas State Department of Education. She later moved to Springfield, Illinois, where she was the Assistant Director of the Illinois State Department of Adult and Vocational Education. During her career, Carol received numerous awards and honors, including induction into Omicron Tau Theta and Phi Delta Kappa and an award for Commitment to Excellence in Correctional Education. Upon retirement, she moved back to Kiowa to help her aging parents. There, she became very involved with the Kiowa Historical Society and the Kiowa Congregational Church. In honor of her two brothers and two nephews who served in the United States Marine Corps, she also joined the VFW Auxiliary. Carol also partnered with Donita Ragan to teach violin to youth in the Kiowa area. Carol loved her family, staying close to all three brothers and their wives, no matter how far away they lived. When her nephews and nieces came along, she went out of her way to not only have a close, personal relationship with each one, but to encourage close relationships between the cousins culminating in hosting them ALL for Labor Day for almost two decades! Carol was preceded in death by her mother and father and her brothers, J. W. McGee and James B. McGee. She is survived by her brother, Max McGee of Kiowa; sisters-in-law, Bev McGee of Newton and Crystal McGee DePue of Edmond, Oklahoma; nephews, Greg McGee and wife, Debbie of Cary, Illionois, Chris McGee and wife, Emily of Topeka, Mark McGee and wife, Jamie of Virginia Beach, Virginia, Joseph McGee and wife, Diana of Eldorado, Texas, Jameson McGee and wife, Bridget of Stafford, Virginia, Jordan McGee and wife, Aubree of Oklahoma City, Oklahoma, and Jason McGee of Kiowa; nieces, Melissa Vajnar and husband, Justin of Newton, Jeannie Bath and husband, Forrest of Edmond, Oklahoma, and Jamie Manoles and husband, Matt of Oklahoma City, Oklahoma as well as ten great nephews and eight great nieces. Services will be held at Kiowa Congregational Church on Monday, April 15, 2019, at 10:00 a.m with visitation on Sunday, April 14, 2019 from 4:00-6:00 p.m. Arrangements are by Lanman Funeral Home, Inc. of Kiowa. www.lanmanmemorials.com Facebook: Lanman Funeral Home Inc. Donations in memory of Carol may be made to Kiowa Congregational Church, the Good Shepherd Dental Clinic, 222 NW 12th St, Oklahoma City, or to the James McGee Memorial Scholarship at Emporia State University through the funeral home.